Five reasons why playing in position is advantageous in no-limit hold'em cash games and tourneys. Play in position and get free cards, control the pot, bluff more, know pot odds & act w/information. If you watch a lot of poker on television, you've probably noticed how most no-limit hold'em hands are contested heads-up after the flop. A player opens with a raise, another calls, then it's just the two of them battling for the pot thereafter. The same is true if you happen to rail online poker games involving better poker players, such as the big weekly tournaments and Sunday majors. Unlike perhaps is the case in many home games and also lower-limit live games, there's often going to be just two players left by the time the community cards arrive. In heads-up situations, it's obvious enough to point out that one player will be "in position" postflop and get to act last on all streets while the other will be "out of position" and have to act first. If you weren't paying attention, you might assume players spend about half their hands playing from out of position and half playing in position — but that would be wrong. The truth is, most good players play the majority of their hands in position — by a lot, in fact. That's because when it comes to starting hand selection, good players tend to fold more hands when they would be forced to play from out of position and to get involved more frequently when they can have position. They do so because they know there are many advantages to having position on an opponent after the flop. The seats around a no-limit hold'em table are usually described as being either early position, middle position, or late position, with the location of the button and blinds determining each. "Early position" (EP) usually refers to the players having to post both the small blind (SB) and big blind (BB), as well as the player sitting to the big blind's left in the position often called "under the gun" or "UTG." At a nine- or ten-handed table, the next seat (UTG+1) might also be considered early position, given that most of the table is in later positions, relatively speaking. Note by the way that even though the SB and BB act last preflop — after the UTG player and everyone else around to the button — those are considered early position seats since they'll be acting first every betting round after the flop. "Middle position" (MP) usually refers to the next couple or three seats at the table, leading up to the last two or three seats culminating with the button. That leaves "late position" (LP) seats that include the button (the latest position), the cutoff (the seat to the right of the button), and the hijack seat (the seat to the right of the cutoff). Of course, in short-handed games (e.g., 6-max.) the hijack would probably be better designated middle position. As noted, the best no-limit hold'em players generally choose to play most of their hands from late position, fewer from middle position, and least from early position. Not coincidentally, they also win most of their money playing from later position, with even the best hold'em players tending to be net losers when playing from early position. There are times when playing drawing hands when you'd rather not pay a price to get to the next postflop street. When you have position on your opponent, you have the opportunity to take a "free card" if your opponent checks to you while you are on a draw, checking behind to see the next community card. Say you decided to play suited connectors and have on a flop. Your opponent who has to act first decides to check. You could bet, but you can also check behind and take a "free card" to see if you can complete your flush. If you were first to act, though, you have no assurance when you check that your opponent won't bet and make you pay to stick around in the hand. Acting last on every postflop street usually helps you control how big or small of a pot you end up playing. If you wish to play a small pot and an opponent checks, you can check behind, and if your opponent bets you can just call and close the action. If you want to play a bigger pot, you can bet or raise when the action is on you. When out of position, you can't check and be sure your opponent will check and let you see the next card for free. Nor can you bet and be sure your opponent will fold or only call you (thus keeping the pot small). Having position on an opponent is so valuable, it can often make up for having a relatively weak hand. In other words, your literal hand strength may be weak, but by getting to act last you have a lot more leverage when trying to represent stronger hands. That translates into more chances to bluff when your opponent who is out of position demonstrates weakness by checking to you. You raise from the button and get called by the big blind, the flop comes , and your opponent checks. If you bet and your opponent doesn't have an ace or king (or perhaps a six), you'll likely earn a fold, thereby making your actual hand strength somewhat irrelevant. You could have , , or , it doesn't matter — position won you the hand, not the cards. But with players still to act behind you, you can't make this calculation. You don't know if the other two players will just call also (making your pot odds even better), or if one might raise and force you to pay even more to stick around (making your pot odds potentially much worse). If you were in position and acting last, though, you could know precisely what your pot odds were going forward. This is the biggest advantage to having position (and frankly covers all of the advantages listed above) — namely, being able to know how your opponent is going to play a given postflop street before you have to make your decision how to play it. You are more informed knowing that while your opponent can always be trying to deceive you, a check usually means they are not so enthused by the board while a bet indicates interest. When playing from position, a lot of strong players use an opponent's action as a primary factor when deciding how to play each street. The mere fact that the button moves each hand to ensure everyone at the table gets an equal opportunity to play from all the available positions should tell you that position matters in poker. If it didn't, there'd be no need to spread the positional wealth evenly in this way. Playing from out of position can occasionally have advantages, too. From out of position you can check-raise, which as we've covered before in this series can be a powerful postflop play. Also, sometimes acting first enables you to prevent other players from acting, say in a multi-way pot where an early position bet or raise might force others out of a hand. However, the advantages of playing in position are much greater. It's a big reason why the seating arrangement at a table can be so important — that is, it is much better not to have strong, difficult players on your left and in position on you for most hands than to have them sitting on your right where you get to have position on them most of the time. 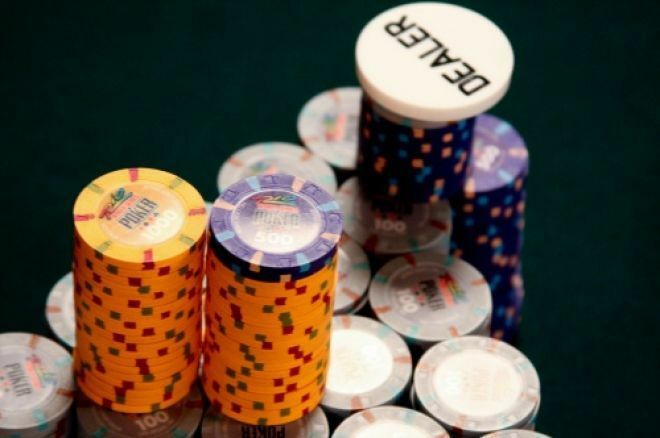 Position is one of the most important factors affecting no-limit hold'em strategy. Playing with position on your opponents both reduces your risk and increases your chance at rewards. Help your own cause by playing more hands in position, and try not to help your opponents and play fewer from out of position. Ready to take a seat at the table? Put these hold'em tips into practice at partypoker. Call or Fold With Top Pair Versus an All-In and a Call?